If 2016 was an epic year for travel for me, 2017 was indescribable. I was determined to make way more time for adventure last year – and it really was a brilliant one for adventure. 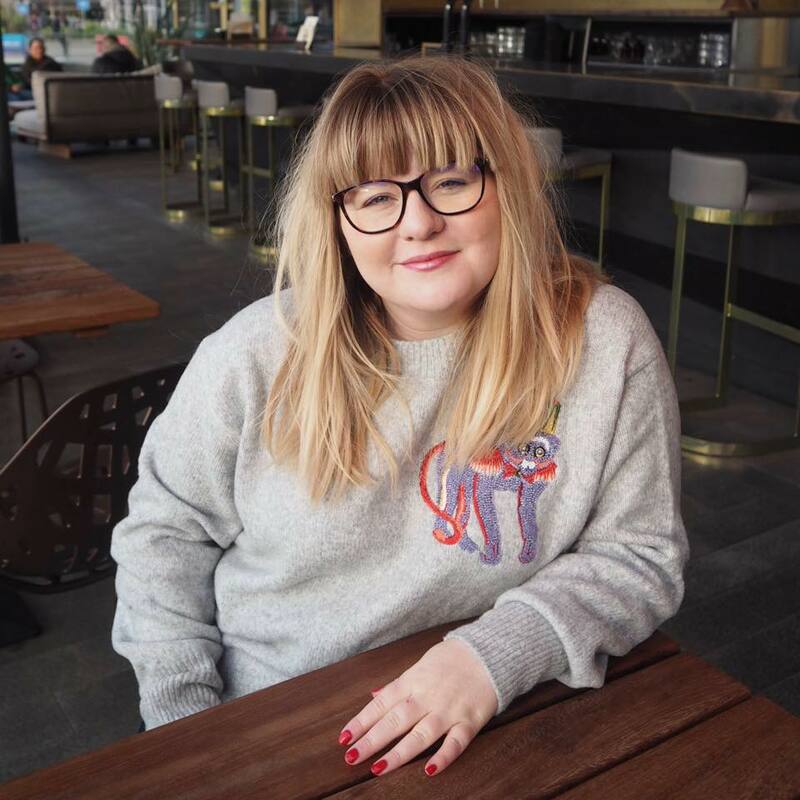 I planned in detailed ways, saved up hard and tried to fit in day trips and UK breaks where I could along the way – all whilst juggling a full time job. I visited Italy on an incredible rail trip I’ll never forget. I found out that the City of Love just isn’t the one for me and I went away with new friends and old. I ate more brunch than is sensible and I took in so many rooftop views as the sun set over a new city. Pulling this review together has made me realise how lucky I have been this year to travel so much and with so many wonderful people – I wonder what the year will bring! It was and still is the best city I have ever visited. I adore the opportunity to get my culture fix in short bursts, so I was excited to take my Mum on a cheeky day trip to Brussels for her birthday on my favourite form of transport – the Eurostar! We had an early start and honestly ridiculous weather for February (it started snowing), but we filled up on waffles and beer and frites to power our walks for the day. I think Brussels is a truly underrated city (you can find my full city guide here), often mistaken for just a commuter area but the beauty of the Grand Place, Flemish architecture and cute side streets is not to be underestimated. I cannot wait to go back. It’s fair to say I just didn’t get on with Paris, and I know that puts me firmly in the minority of people that have ever travelled to Paris. I found it cold, unfriendly and relentlessly busy. Most of the top attractions left me disappointed and I couldn’t help but compare to some of the wonderful architecture we’d seen in smaller European cities. The pressure to enjoy myself was immense. As I reached out people kept telling me that they loved it, that I was doing it wrong. So full of anger at myself, the first night we ended up staying in our hotel and sleeping off the bad mood. I just couldn’t make Paris work for me. But I get that many others love Paris, and the food was second to none. I’m definitely determined to go back, but until then, Paris is firmly in my disappointed bucket. My full Paris city guide is available to read, as are my foodie tips and tricks! Pisa was definitely a last minute type trip – an additional but surprising add-on to the adventure I had already planned in Italy. Fact is, I really didn’t want to fly on a budget airline on my birthday (because I’m a princess like that), and so wanted to find an easy day trip we could do that would allow us to travel easily to our next adventure. Pisa was perfect – I had already become obsessed with Tuscany since my trip to Florence last year, and who couldn’t resist a good look at that famous tower. It was only 3 hours by comfortable train from Rome, our next stop too. We had the best day – eating pizza and gelato, seeing all the incredible buildings in the Square of Miracles, watching tourists take hilarious tower based pictures and wandering along the River Arno in the March sunshine. As we fell asleep mid-afternoon on the grass by the Pisa Duomo, I couldn’t think of a more perfect place to be. I’ve written a full Pisa Day Trip Guide to give you loads more detail on what to see and do. 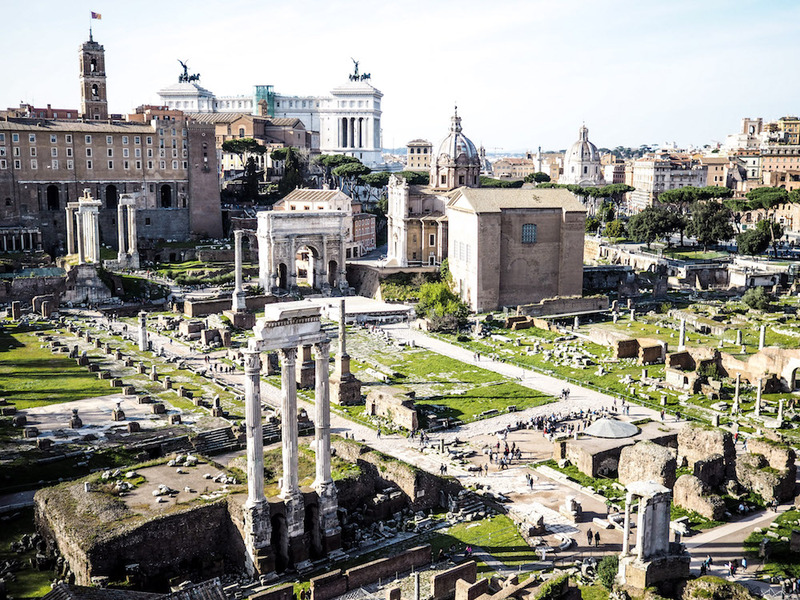 Our 9 day Italian adventure had the most immense city break sandwiched in the middle – 4 days in perfect, perfect Rome. I had high expectations of this place and luckily it met and exceeded every single one. Whether it was discovering ancient Rome, hanging out at The Vatican or making wishes in the Trevi Fountain, the entire city is just place after place of incredible sights. But the food. OH THE FOOD. Not only did we consume more gelato than is sensible, we tried pasta in abundance and started every evening with an Aperol Spritz. Hello aperitivo time! We also headed out on an incredible food tour of Testaccio by Eating Europe – an experience I cannot recommend highly enough. Here’s my full Rome city break guide! We ended our March trip in Naples, largely so we could easily explore both Pompeii and Mount Vesuvius, which were the incredible highlights of our whole Italian holiday. But Naples was surprising, and so much more than a stopping off point for other adventures. It was busy, crazy and unlike any place I’d ever visited. Mopeds everywhere, with a slight edgy vibe that I couldn’t put my finger on. And the pizza is just incredible. Once you’ve had Neapolitan Pizza, you’ll never go back. My full city guide has all the details on where to get the best pizza! I have such fond memories of my weekend in Amsterdam in May. It was a weekend of many firsts for me. I went with two strangers off the internet who I met at Amsterdam’s airport for the first time. I stayed in a hostel. I went without a plan and just wandered and was as happy as larry. And I really really concentrated on the food aspects of the trip. It turned out to be the most wonderful and most fulfilling trip of the year. I came away with a pair of firm friends who I wished lived closer to me every single day, and I learnt how to chill out and not over plan on a city break. I got fully into the brunch culture (which is incredible in Amsterdam) and I saw so many canals that I’ve probably walked my quota for this decade. After a busy few months jetting off around Europe, Mr S and I decided to turn our attention to the UK, and a day trip to Stonehenge turned into a beautiful weekend chasing down neolithic sites, eating pub lunches and exploring the city of Salisbury. Salisbury is such a cute destination for a weekend away, or even for a day trip from London. I finally managed to get up close to Stonehenge, and I climbed the Salisbury Cathedral tower for the most awesome view over the city. Eating brunch in earshot of beautiful church bells on a cobbled street is about as Olde English as you can get and it was just what we needed to get away from the bustle of our normal life. I wrote a full guide on what to see, do and eat in Salisbury. Just as with Brussels, I cannot resist a cheeky day trip and when Eurostar released their Snap Fares for the summer I got on board for a £50 return trip to Lille. Taking my bestie Lea along with me, we spent the day exploring a beautiful and mysterious park, going on a walking tour, drinking beer and eating cheese. Lille was fantastic because it has far more in common with Flemish countries than France itself, which meant the food, drink and architecture reminded me so much more of my treasured trips to Brussels and Amsterdam. Want to visit Lille yourself? Use my Lille City Guide! I’d wanted to visit Chester for quite some time – both because Mr S had been working there and talked about it non-stop, and because I really wanted to see the gorgeous black and white Tudor buildings for myself. Chester is a compact, but beautiful city with Roman, Medieval and Tudor influences, all wrapped up in a walkable city wall. I loved it there! It’s also a great place to visit Chester Zoo from, which made such a fun day out even without kids to drag along with us. At just two hours from London, it was a really convenient weekend break. We combined a trip to Chester with a trip to Liverpool – ideal because it was only 45 minutes away by train. It was completely different to Chester – big, imposing and really busy, but I fell hard for Liverpool’s Docks. With a skyline to rival New York, there was so much to explore along the waterfront, as well as gorgeous cathedrals and historical buildings in the centre of the city. The food was also completely sublime. We ate and drank our way around the city, only stopping because we had a train back home to catch – from a massive brunch, quirky cocktails and tapas to die for we tried it all. And loved it. My trip to Barcelona was last minute, but meant to be all at once. I’d been talking about going on a solo trip all year, and finally thanks to the Ryanair flight sale I decided to pack my bags and head to the gothic city. I’d already travelled to Barcelona three times before, but with a new attitude and only myself to please I couldn’t wait to get my Gaudí on. It was the most incredible trip of the year. Not only did I travel alone and fall in love with it, I ate my way around every district in Barcelona and headed out on an amazing food tour. Standing on top of Park Güell, I couldn’t have been more fulfilled and happy in that moment. We ended the year (and started 2018) in our second spiritual home – Manchester. With Mr S being a season ticket holder for and avid fan of Manchester United, the city has played such a strong role in our relationship for the past 12 years, and I honestly think that if we were to move anywhere else, it would be here. We are not huge NYE fans so decided to spend a low key weekend food hopping, coffee shop lounging and brunching in the North West. We rounded off our trip to Manchester with a New Year’s Day stroll along Crosby Beach to see the Anthony Gormley statues, before driving home to see what the rest of 2018 had in store for us! Where did you explore in 2017?